Everyone has different needs when it comes to Internet usage.If you mainly use the Internet for e-mail and surfing the web, then a basic Internet package may be right for you.On the other hand, if you prefer to live stream movies and shows, or have more than two devices that connect to your home Wi-Fi at one time, you may want to go with a higher Internet speed to ensure that your needs are being met. Does Your Connection Seem Slow? If your Internet connection appears to be running slower than usual, try rebooting your devices that you use to get online with. Keep in mind when you reboot your equipment that you always want to reboot the first piece of equipment that provides the service. Which would be the modem, or if your service is on fiber it would be your switch, then your router, then your laptops, desktops, tablets, smart phones, gaming consoles (X-Box, Playstation) and SmartTVs. When you’re rebooting make sure to do it in the following way. Remove the power from your modem or switch, router and internet device(s). Only give power back to the modem or switch first after waiting for 30 seconds. Next plug back in the power to your router after waiting for 30 seconds. Lastly turn back on your internet device(s). If this does not initially solve the problem, check your other connected devices in your house to see if they are also having issues. If the problem only happens with one device, the issue may be with that device, and not the service. If you find that it is with an individual device, then it might be best if you contact that manufacturer and let them know what’s happening. They can assist you with troubleshooting your equipment. Getting the best out of your Wi-Fi service really depends on where it’s setup in your home. If you’re far from where your router is then it can weaken your signal. If you’re not getting a good signal from your router then that will hinder you getting a proper service. The same goes for what type of structure your Wi-Fi signal has to go through to reach your devices. Because your router emits radio waves to get the signal to you, walls, doors, metal framing, microwaves or pretty much anything solid can cause too many obstacles for those waves or signal to go from your router to your device. 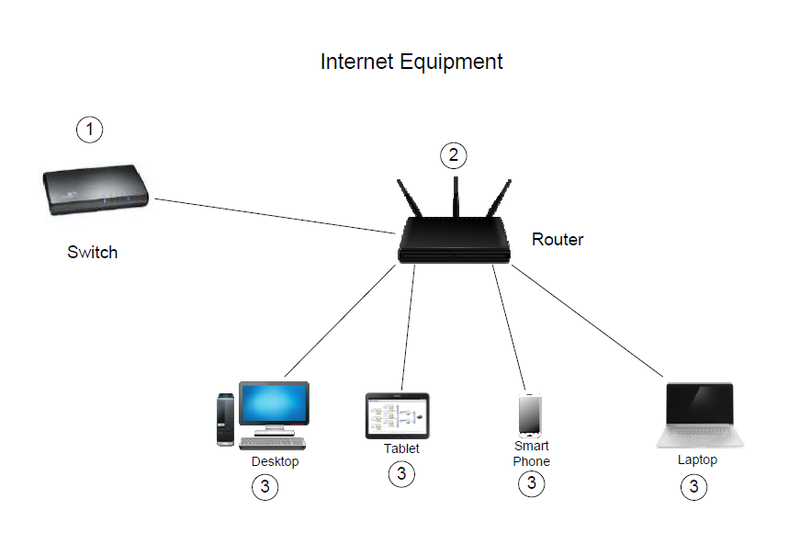 To fix these issues you may need to change where your router is located. Much like when you throw a pebble in a pond the signal from your router goes out in a circular but wavy pattern. Your router should be at the most central place in your home to spread out the signal. Keep in mind that because the signal does not go up or straight out from the router, but instead goes in a downward pattern, the higher placement of your router the better. If you have a second floor and can put it there, you might want to consider that. Try to make sure that you don’t place it in a spot that has a lot of heat. Always make sure your wireless router is password protected and that password is not given out to your neighbors. This will ensure you have a secure network, safe from hackers and outside Internet users.If you do not secure your network, others may use your Wi-Fi signal, which will ultimately slow down your speed.Keep in mind using a password is a great safeguard, but is not a guarantee. If someone in your home is an online gamer, streams movies, or downloads music, they may be using up a majority of your home’s bandwidth.Using a majority of the bandwidth can result in slower speeds for others using the Internet at the same time. Many applications that have been downloaded to your laptop and/or smartphone may be causing slower speeds. Be sure that you minimize applications to only those you are using. Try closing them if speeds are slow, they may be using your bandwidth without your knowledge. These are just a few of many things that can cause your speed to become slow. If you’re still experiencing slow speeds after checking some of the main causes, please call our customer support at 1-800-737-3900. They’re available 7 days a week 24 hours a day.